Ben’s is Head of the Class for Graduation Catering! (4/16/2019)- Congratulations, graduates! What’s better than finally being done with school? The graduation party spent with friends and family! Celebrate the completion of high school or college with a party catered by Ben’s Kosher Delicatessen Restaurant & Caterers. 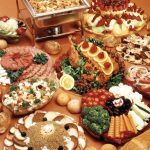 With Ben’s, you can create a Ben’s Buffet to suit your taste, customize a catered package or build … Continue reading "Ben’s is Head of the Class for Graduation Catering!" 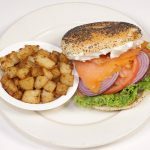 Celebrate Your Mom this Mother’s Day by Taking Her Out to Ben’s for Brunch (4/12/2019)- Mother’s Day is a time for the strong women who raised us to be recognized for all they have done and continue to do for us. This Mother’s Day, show Mom how much she means to you and take her out for a delicious Mother’s Day brunch at Ben’s. 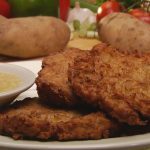 This Mother’s Day, Ben’s Kosher Delicatessen … Continue reading "Celebrate Your Mom this Mother’s Day by Taking Her Out to Ben’s for Brunch"
Hanukkah Headquarters (11/20/2018)- Celebrate Hanukkah with Ease with Ben’s Kosher Deli: Your Hanukkah Headquarters Enjoy Ben’s Catered Holiday Meal for Six and Eat “Lotsa Latkes” For many families, balancing work, kids, responsibilities, and life in general is difficult enough to handle on the average day. 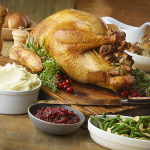 So, what happens when the stress of the holidays is added into the … Continue reading "Hanukkah Headquarters"
Ben’s Thanksgiving Catering (10/24/2018)- Ben’s Serves up Thanksgiving Feast without the Holiday Headache It’s that time of year again: Ben’s Kosher Delicatessen Restaurant & Caterers is bringing back its Thanksgiving Feast Special, and it’s everything you could need, and more. Avoid getting wrapped up in the holiday hassle. Sit back and relax while the Turkey is cooking. 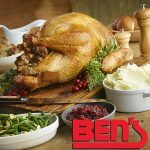 Let Ben’s bring its … Continue reading "Ben’s Thanksgiving Catering"
Score an Easy Touchdown this Football Season (10/9/2018)- Ben’s Football Feast for Five Catering Package is Perfect for Any Party Sit back, relax and let Ben’s Kosher Delicatessen Restaurant & Caterers do the work for you. From delicious catering and mouthwatering grab-and-go takeout at every location, Ben’s is making this football season an easy win. Available all season long, Ben’s “Football Feast for … Continue reading "Score an Easy Touchdown this Football Season"
Ben’s on a Budget: Kids Eat 50% Off in October (9/18/2018)- An offer too good to resist No, it’s not a trick. 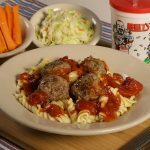 Ben’s Kosher Delicatessen Restaurant & Caterers is offering kids meals for 50% off throughout the month of October. All Ben’s locations, from Manhattan, New York, all the way to Boca Raton, Florida, will be participating in this promotion. 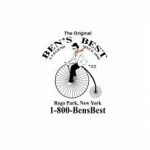 Ben’s goal is to provide all … Continue reading "Ben’s on a Budget: Kids Eat 50% Off in October"
Ben’s Survives Recent Downturn in Kosher/Jewish Restaurant Market (7/20/2018)- Ben’s Best Becomes Latest Casualty in New York BAYSIDE, NEW YORK — Kosher/Jewish delicatessens have declined over the years. In New York, the famed Carnegie Deli shut its doors in late 2016 after approximately 80 years in business, while Ben’s Best in Rego Park, Queens closed last month. 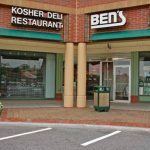 But despite these closures, Ben’s Delicatessen Restaurant … Continue reading "Ben’s Survives Recent Downturn in Kosher/Jewish Restaurant Market"
Ben’s Survives Recent Downturn in Kosher/Jewish Restaurant Market (5/29/2018)- Junior’s Becomes Latest Casualty in New York and Florida BOCA RATON, FLORIDA — Kosher/Jewish delicatessens have declined over the years. 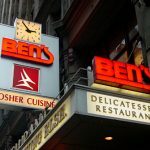 In New York, the famed Carnegie Deli shut its doors in late 2016 after approximately 80 years in business, while Ben’s Best in Rego Park, Queens announced it is closing at the end of this … Continue reading "Ben’s Survives Recent Downturn in Kosher/Jewish Restaurant Market"
Celebrate Mother’s Day with the New Brunch Menu at Ben’s Kosher Deli (4/19/2018)- Breakfast in bed has always been a Mother’s Day tradition. However, this still requires cooking and cleaning, plus who wants to get crumbs on their sheets? This year, switch it up and take Mom out for a delicious Mother’s Day brunch to show her how much she means to you. 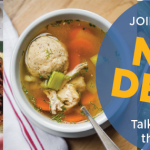 New for 2018, Ben’s Kosher … Continue reading "Celebrate Mother’s Day with the New Brunch Menu at Ben’s Kosher Deli"
Don’t Pass Over Ben’s Catered Holiday Dinner (3/1/2018)- Enjoy a Meal for 10 with a Side of B1G1 Coupons The Ben’s Kosher Delicatessen Restaurant & Caterers’ motto has long been that holidays should be a time to kick-back and relax with family, rather than spending long hours cooking and cleaning. 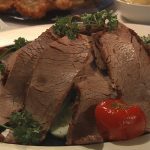 Celebrate freedom, and the story of the exodus from Egypt, with the company’s famous … Continue reading "Don’t Pass Over Ben’s Catered Holiday Dinner"
Ben’s Store-Cured Corned Beef Has its Patrons Feeling Lucky this St. Patrick’s Day (2/1/2018)- You don’t need to be Irish to feel lucky this St. Patrick’s Day! 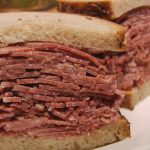 From March 1 until St. Patrick’s Day, on Saturday, March 17, all seven of Ben’s Kosher Delicatessen Restaurant & Caterers locations, will be reveling in the company’s annual March corned beef celebration. 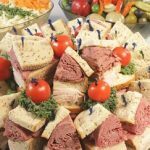 Special combos include sandwiches and traditional corned beef, cabbage and potato platters; … Continue reading "Ben’s Store-Cured Corned Beef Has its Patrons Feeling Lucky this St. Patrick’s Day"
Ben’s on a Budget (1/17/2018)- Kids Eat for $3.99 throughout February From February 1 to 28, 2018, all seven Ben’s Kosher Delicatessen Restaurant & Caterers locations, are offering a $3.99 Ben’s Kids Meal Deal with the purchase of a regular priced adult sandwich or entrée. 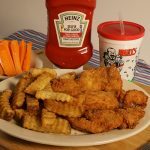 Recognizing that families are usually feeling a post-holiday financial crunch, Ben’s has always set aside the month … Continue reading "Ben’s on a Budget"
What’s a Big Game Without a Big Spread? 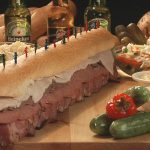 (1/10/2018)- Ben’s is Perfect for Big Game Catering Sit back, relax, throw on your favorite jersey and let Ben’s Kosher Delicatessen Restaurant & Caterers prepare your “Big Game” food for you. Playoff season can be a nerve wracking time for some fans, but how can you even begin to root for your favorite team if you’re … Continue reading "What’s a Big Game Without a Big Spread?" 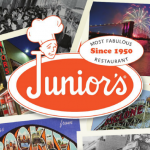 Ben’s Kosher Deli and The Workman’s Circle Collaborate for a Night Filled with Jewish History, New York Culture and Delicious Food (1/2/2018)- Ben’s of Manhattan to Host “Talk and Taste the History” Event on Thursday, January 11 New York City is known for many things; an epic skyline, Times Square, “dirty water dogs,” Broadway musicals, the Yankees, and countless other iconic people, places and things. 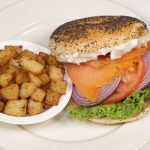 New York City is also home to the first-ever Jewish American deli, … Continue reading "Ben’s Kosher Deli and The Workman’s Circle Collaborate for a Night Filled with Jewish History, New York Culture and Delicious Food"
New Year, New Ben’s Menu (12/17/2017)- Specialty Menu Features Ben’s Burgers, Top’t Dogs and Panini With a New Year, comes a new Ben’s Kosher Delicatessen, Restaurant and Caterers menu. 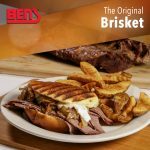 Beginning January 2, 2018, all Ben’s locations will debut the company’s Specialty Menu, featuring the most popular items from Ben’s’ previous Burger, Top’t Dogs and Panini Menus. Perfect for meat lovers, this new, and … Continue reading "New Year, New Ben’s Menu"
Ben’s of Bayside Thriving After Renovation (10/23/2017)- Ben’s of Bayside: New Look and a New Leader Ben’s Kosher Delicatessen Restaurant & Caterer’s completely renovated its Bayside, Queens location this past Spring. From new carpets to a refurbished kitchen and bathrooms, all the way up to painting the ceiling, Ben’s of Bayside left nothing untouched. But, the changes weren’t just physical alterations, the store … Continue reading "Ben’s of Bayside Thriving After Renovation"
Let Ben’s Do the Work with Multiple Thanksgiving Feast Options Special (10/1/2017)- Fall is here and that means crisp air, pumpkin spiced lattes and Ben’s Kosher Delicatessen Restaurant & Caterer’s Thanksgiving Feast special. Thanksgiving is all about spending time with loved ones, so don’t get caught up preparing, cooking and cleaning for guests. Let Ben’s cater your Thanksgiving dinner, or better yet, visit any of Ben’s seven dining room … Continue reading "Let Ben’s Do the Work with Multiple Thanksgiving Feast Options Special"
Ben’s Kosher Delicatessen Celebrates 45 Years in the Pastrami Business (9/14/2017)- Anniversary Runs October 9-15 with $19.72 Special in Honor of the Company’s Founding Year Autumn 1972 was an exciting one. President Richard Nixon was running for his second term. The Oakland Athletics were in a close battle against the Cincinnati Reds for the World Series pennant. And, Ronnie Dragoon, a witty New Yorker from Queens, … Continue reading "Ben’s Kosher Delicatessen Celebrates 45 Years in the Pastrami Business"
Ben’s Kosher Delicatessen Celebrates the New Year with a Traditional Rosh Hashanah Dinner (8/17/2017)- Ben’s is Offering a Catered Holiday Meal that Provides Traditional Cuisine for 10 Guests For many families, busy schedules can often get in the way of celebration during get-togethers like Rosh Hashanah. Catering options from Ben’s Kosher Delicatessen Restaurant & Caterers allow families to enjoy a delicious, traditional Rosh Hashanah meal together without the time or … Continue reading "Ben’s Kosher Delicatessen Celebrates the New Year with a Traditional Rosh Hashanah Dinner"
Ben’s Top’t Dogs Are Back (6/26/2017)- Six Recipes Make a Return for The Month of July Only Next month, Ben’s Kosher Delicatessen, Restaurant and Caterers will be bringing back its Top’t Dogs menu. This year, Ben’s is offering six different Top’t Dog options – the six favorites of last year. 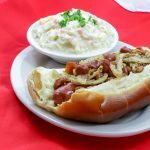 These original hot dog recipes will be available at all Ben’s … Continue reading "Ben’s Top’t Dogs Are Back"
Ben’s of Bayside Renovation Celebration (5/19/2017)- New Décor, Memorial Day BBQ, Comedy Show and More Ben’s Kosher Delicatessen Restaurant & Caterers is excited to unveil the final phase of renovations at the company’s Bayside location, its second rehab since opening in 1994. As part of the update, Ben’s Founder/Owner, Ronnie Dragoon, opted to upgrade the bathrooms and furniture, reclaim the terrazzo flooring, … Continue reading "Ben’s of Bayside Renovation Celebration"